Right next to the Train Station. Durango's favorite bagels, breakfast sandwiches, coffee, pastries, and gourmet deli lunch sandwiches. 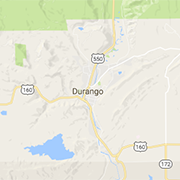 The Durango Chamber of Commerce works to support the local businesses in Durango, Colorado. Makin' It Happen!